Throughout his remarkable career, Donald Pfaff has demonstrated that by choosing problems and methods with care, biologists can study the molecular mechanisms of brains more complex than those of fruit flies, snails, roundworms, and other invertebrates. 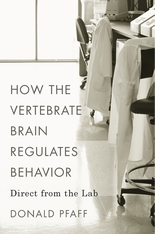 His half century in the lab, starting with his discovery of hormone receptors in the brains of mammals and leading to the first detailed account of a neural circuit for mammalian behavior, puts him in a unique position to survey the origins and development of behavioral neurobiology and the current state of research. 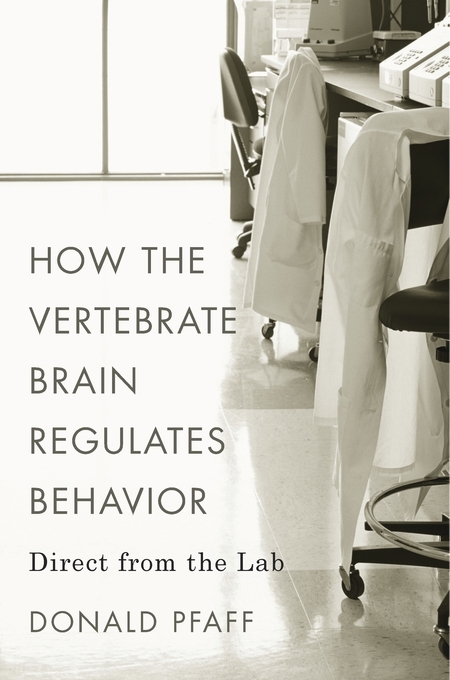 How the Vertebrate Brain Regulates Behavior offers a close-up, conversational perspective on scientific struggles and successes throughout a fifty-year quest to understand how behavior is regulated in a complex organism. In graduate school, when Pfaff expressed a desire to study behavioral regulation, his advisor suggested focusing on hormones. Pfaff’s investigation into the hormonal basis of female sexual behavior in laboratory rats led him to a comprehensive appreciation of how hormone-dependent neurons work through neural circuits to produce discrete behaviors among all vertebrates. This breakthrough, along with other researchers’ findings, established a link between molecular biology and neuroscience that opened up a fruitful new field of inquiry. Pfaff’s approach is to focus on one solvable problem and explore it from many angles. He begins with a single observed behavior and traces its regulation through a series of biological mechanisms—from hormones to genes to neural circuits. Pfaff’s relentless pursuit of his goals continues to inspire neuroscientists today.